Revered as the “Oscars of the East Coast,” last night’s 2016 Met Gala didn’t disappoint. Droves of celebrities, fashion icons, musicians, athletes, and tech leaders gathered on the red carpet for the annual benefit in which the Metropolitan Museum of Art raises money for its Costume Institute. This year’s Met Gala theme was Manus x Machina: Fashion in the Age of Technology. “Manus vs. Machina,” meaning hand vs. machine, was the perfect way to introduce the new exhibition, which charts the technological improvements that have transformed fashion and its capabilities. Although guests aren’t required to dress for the Gala’s theme, many do, making this year’s red carpet a sea of futuristic, structured silver gowns. Some designers took the theme literally, interweaving technology and fashion to create incredible works of high-end (wearable) tech. If you thought Claire Danes' structured pale gown was just another beautiful dress, you couldn't be further from the truth. Created by designer Zac Posen, the fiber optic dress made perhaps the biggest statement of the evening. 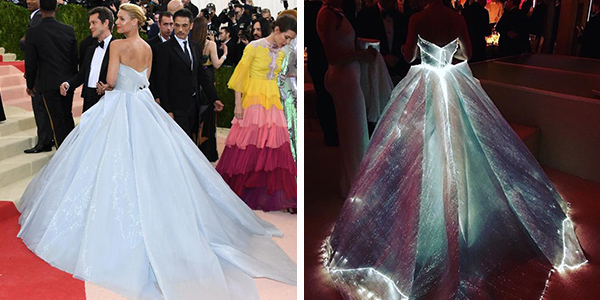 Cinderella by light and futuristic Disney queen by night, Danes’ dress was created with fiber optic woven organza from France. Requiring 30 mini battery packs which were sewn into the gown’s understructure, the ensemble no-doubt nailed the gala's theme. Another wearable technology standout was model Karolina Kurkova, who wore a “compassionate dress” created by Marchesa. Kurkova’s beautiful floral gown was embedded with LED lights that changed colors in real time. Programmed by IBM’s cognitive computing system Watson, the dress lit up in different colors to reflect fans’ sentiments on social media. Using an algorithm that analyzed social media comments, the dress mirrored five different sentiments: joy, passion, excitement, encouragement, and curiosity. As emotions changed on social media, the flowers on Karolina's dress shone in different hues. According to Marchesa designer and co-founder Georgina Chapman, “In designing this, I went back to thinking 'what would be my dream dress, and how would I use technology to make that happen?' I had this vision of the dress that could change color with emotion, and that's the direction we headed.” Chapman worked with fellow designer and co-founder Keren Craig to create the tech-driven dress. From data-driven gala gowns to watches that measure your caloric expenditure to a 50 carat clutch that sparkles when you sing to it, wearable technology is changing the way we think about our clothes and accessories. Historically, wearable technology earned a reputation for focusing more on function than on form or style. But that overemphasis on form is quickly fading. Collaborations like those between fashion designer Marchesa and tech giant IBM are indicative of the movement to seamlessly merge both fashion and function for a useful product that looks awesome, too. Sure, glasses that take videos and overlay emails are cool, but if they make you look ridiculous, who's going to actually wear them? The challenge that engineers, artists, and fashion designers now face is how to merge technology with fashion in a way that's organic and complementary to the garment or accessory. Think of the latest Fitbits, which are sleeker and look more like jewelry than exercise equipment. Think of Apple watches that complement the wearer and resemble traditional time pieces. While the sky's the limit when it comes to creating wearable technology, there are many factors to consider, both within the code and from an aesthetic perspective. Programmers, designers, engineers, and other STEM professionals all have a place within the ever-growing wearable tech space. At iD Tech, we encourage a passion for wearable tech by exposing campers to the Internet of Things (IoT) in our engineering courses. We discuss how ordinary products (like your thermostat or a necklace) can become driven by technology, and let students create real-life projects that can be powered by code. 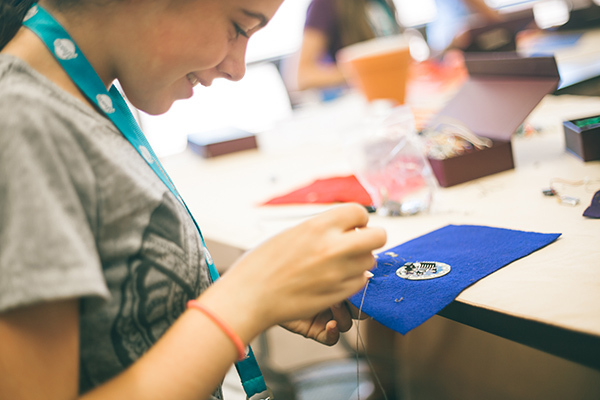 We also offer girls ages 10–12 an opportunity to get started in the world of wearable electronics in our Alexa Café course, Electric Latte – Coding Electronics with LilyPad Arduino. This weeklong, all-girls course lets girls learn electrical engineering principles and coding skills in a fun, collaborative environment. 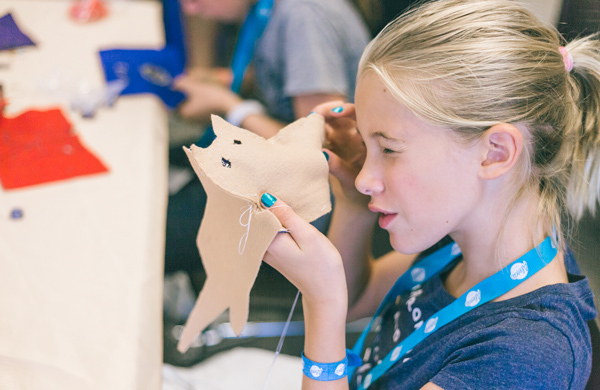 Using the LilyPad Arduino Starter Kit and the C-based programming language, students create unique wearable electronics that can come alive with lights and sensors. Sure, it’s not a high-end designer dress, but it’s the first step toward seeing how technology can be interwoven with many parts of our lives. If you think your daughter would be interested in working with wearable tech, I definitely recommend you consider this course.